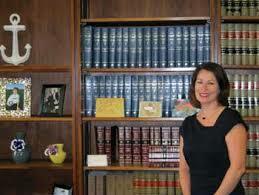 Nicole Rodarte is a judge on the Denver County Court in Colorado. She was appointed in January 2013, and will need to run for retention in 2016. Rodarte received her bachelor's degree from the University of Colorado at Denver in 1994, and her J.D. from the University of Colorado School of Law at Boulder in 1998. Back to Denver County DUI Courts. Every judge who presides over DUI cases in this county conducts their courtroom differently from any other judge. Every one has slightly different procedures, habits and tendencies in the way they interact with the District Attorneys, defendants and attorneys. So it’s critical to the successful defense of your case to hire a DUI expert who not only specializes in DUI defense, but who has extensive experience with the people in the particular courtroom where your case will be held to help you navigate though the system. Jim Forslund and Gary Pareja have been representing clients in this Denver Courtroom 3A for years. They have that unique advantage you are looking for to obtain the best possible outcome for your unique set of circumstances in courtroom 3A if this is where your case is assigned and will be heard..